Figuring out what to do in St. Lucia before your vacation ends might be the hardest part of the trip. Although you may have made plans before settling in on the island, both locals and other visitors may make new suggestions after you arrive. With so many options, narrowing down your ‘must do’ list can be a tedious task. To help you save time and get right to the fun, we’ve created this list of 5 things you should absolutely do before you leave St. Lucia. According to a popular local soca song, there are “99” beaches along the entirety of St. Lucia. While visiting all of them might seem like a massive adventure, going to a handful of beaches should be at the top of your list. Lounging at just one beach for the entirety of your vacation might not be the best choice. 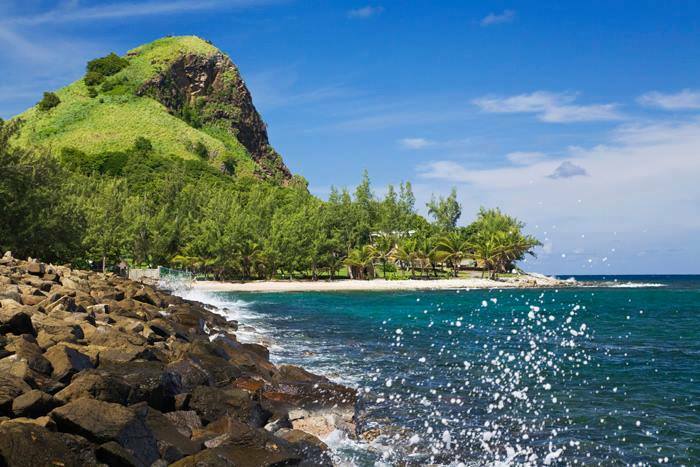 Since St. Lucia is a volcanic island, most of the beaches along the south-west coast are beautiful black sand beaches. Regardless of where on island you decide to stay, visiting one of these locations that many have only ever seen in photographs. is a must. 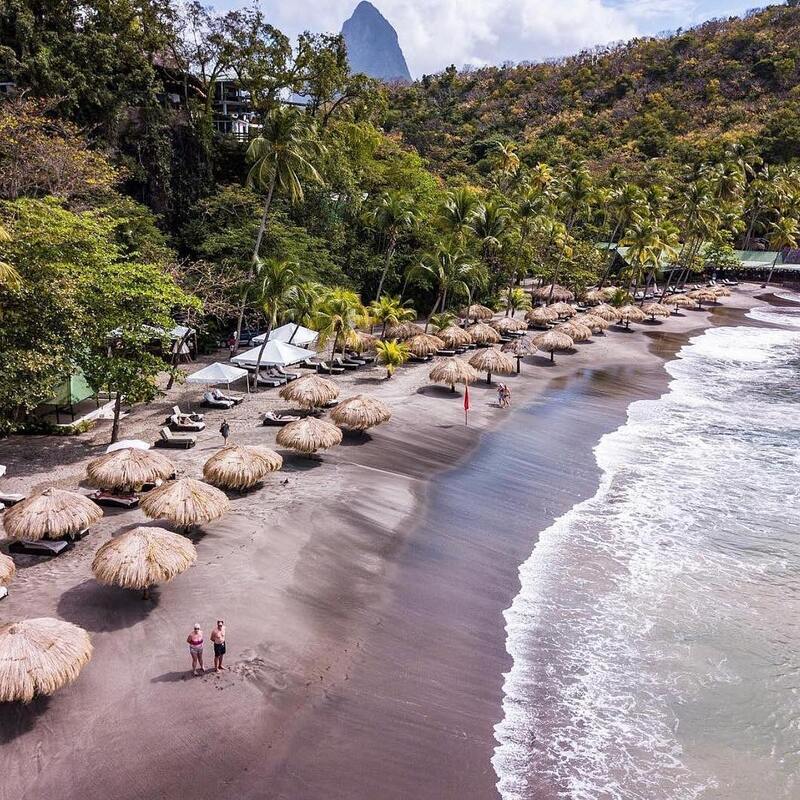 Popular black sand beaches include Anse Mamin and Anse Chastanet in Soufriere, and The Sabwisha Beach Park in Choiseul. Anse Mamin and Anse Chastanet are great spots for snorkeling and exploring St. Lucia’s rich coral reefs. The sunsets at these beaches are also amazing, as they face the west. Popular white sand beaches include Reduit Beach (The Ramp), the beaches at Pigeon Island, and Sandy Beach in Vieux Fort. On a regular day, Reduit Beach may be a bit crowded. However, the pristine waters and water activities make up for it. A water park, jet skis and other fun water sports are available at this beach, as well as at Pigeon Island. Since Sandy Beach borders the Atlantic Ocean, it offers more daring water sports like kite and wind surfing. If you’re not fond of these activities, relaxing on a beach chair is a great option as well. 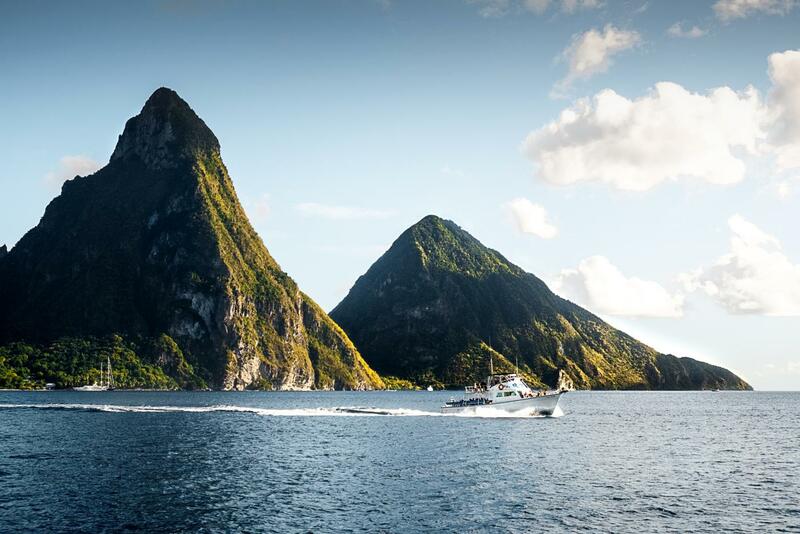 This western town was once the capital of St. Lucia, and although it is no longer the center for economic activity, it is one of the richest in natural attractions. What’s the first thing you think of when you hear St. Lucia? The Pitons! Although the hike might be tough for a first timer, climbing Gros Piton is a must. After such an exhilarating adventure, cooling off in one of Soufriere’s many waterfalls could be the perfect end to your day. The calming waters of Piton and Toraille Falls, or the warm waters of Jerusalem Falls can be your own natural spa. Even better, Soufriere is home to the worlds only drive-in volcanic crater or as we call it; the Sulphur Springs which is said to have natural healing properties. Other activities to do in Soufriere include exploring the Diamond Falls and Botanical Gardens! One of the best ways to experience St. Lucian wildlife is by soaring through the skies. Zip lining is a popular activity here, and a must do before you pack up to leave the island. There are three primary (3) zip lining locations on island: Dennery, Babboneau and Morne Coubaril in Soufriere. Treetop Adventure Park in Dennery has the most lines in St Lucia, and has been named the Best in the Caribbean. There are a variety of packages available at this location, including the 4 hour Rainforest Cycling Adventure, and 6 hour Triple Adventure which includes a jeep safari, zip lining and waterfall hike. Prices range from $42 to $110. Rainforest Adventures in Babboneau also offers various packages, including bird watching. They include the Aerial Tram Tour, Jacquot Trail Hike and the Ultimate Three. Eight lines await you at the Morne Coubaril Historical Park in Soufriere. Although there are no rainforests to soar through at this location, the aerial views of the estate are just as worthwhile. 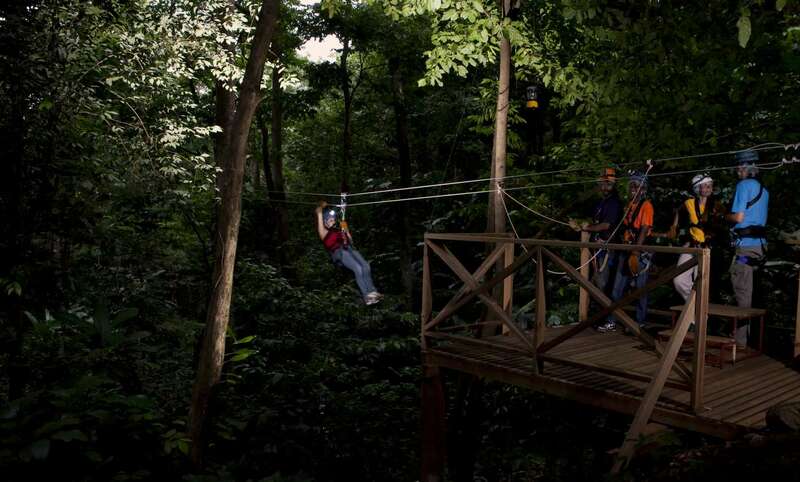 The zip lining tour lasts roughly one hour, and prices start at $75. Fewer things are more quintessentially St. Lucian than a street party and Gros Islet Friday Night is a staple on the St. Lucian calendar. Its a burst of energy, with fresh seafood, drinks and music all readily available on the streets of the town of Gros Islet. It is a favourite activity among both locals and visitors, and is a must if you truly want to experience St. Lucia party culture. There are other street parties in other communities around the island. Dennery and Anse La Raye both have their own Fish Friday festivities and Laborie’s street party takes place on the last Friday of every month. 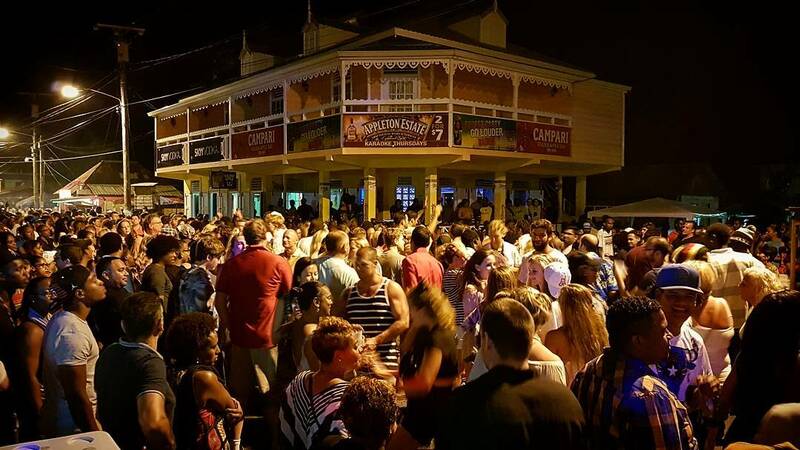 Street parties are the heart of St. Lucia and should definitely be on the top of your to-do list. St. Lucia’s history is extremely rich, and remnants of its colourful past can be seen all around the island. You should make a note of visiting some of these landmarks, like the Pigeon Island National Park. Fort Rodney was a lookout point during the battles between the French and English, and the old cannons are still stationed there. The light hike to the top of the fort provides spectacular views of Rodney Bay and the surrounding areas. An entrance fee of EC$10 allows you to roam the fort, grassy areas and the beaches. Morne Fortune is another location brimming with history. Old soldier barracks which now house the Sir Arthur Lewis Community College and other well preserved buildings are dotted along this tallest hill in Castries, which was also a lookout point. The Inniskilling Monument is also located on Morne Fortune, alongside the grave of Nobel Laureate Dereck Walcott. Visiting these landmarks are totally free. Now that we’ve listed some activities that you absolutely must do before leaving St. Lucia, all that’s left is for you to do them!